2001 Yamaha XP500(N) Service Repair Manual is a highly detailed Factory Repair Manual containing everything you will ever need to repair, maintain, rebuild, refurbish or restore your 2001 Yamaha XP500(N). This 2001 Yamaha XP500(N) Service Repair Manual Download topics are covered complete Step-by-step instruction, diagrams, illustration, wiring schematic, and specifications to repair and troubleshoot. 2001 Yamaha Xp500 / Xp500n Tmax Service Repair Manual Download!!! 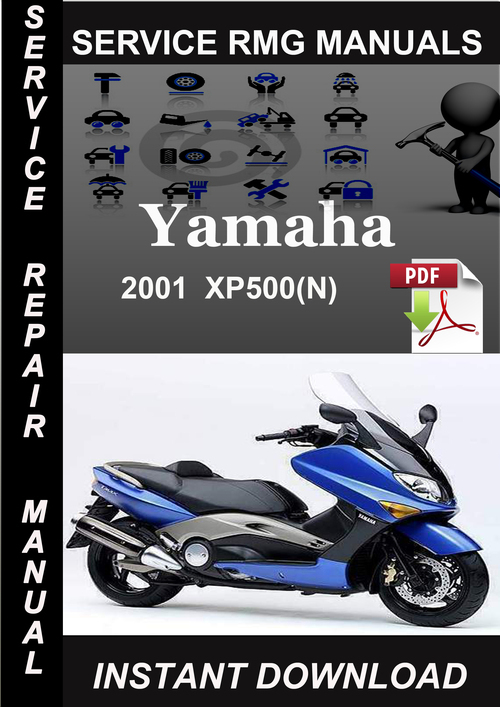 2001 Yamaha Xp500 / Xp500n Tmax Service & Repair Manual - Download!